The information within this ebook can be used to extrapolate personal conditioning goals for any type of athlete or even just a healthy guide for the 'Weekend Warrior'. 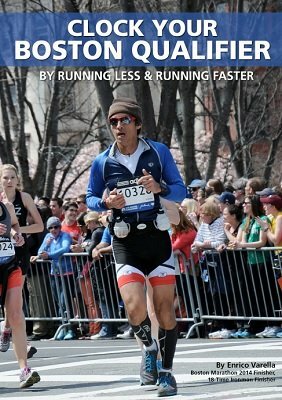 Whether one aims to complete a triathlon, marathon, parkrun, 10km race, or an after-work de-stressing jog, one would benefit tremendously from the information within this ebook. Perhaps the working person only has personal goals for him or herself. This book is a guide that can also be used for the busy professional, working mom, the elderly, for those are physical-challenged and are unable to compete in more rigorous activities, and for those who are obese and have 'given up' hope of ever becoming a healthy individual. The ideas above probably encompass most people and not just the 'elite-level athletes'. There are interviews with amateur athletes from 40-85 years to inspire you. An entire chapter has been dedicated to those (the majority!) who never aspire to become exceptional athletes. Be the best YOU that you CAN BE. The intent of this ebook is not only to provide information for those wishing to become elite-athletes, but also for those who want to maximize their personal health and quality of living. You can still become the 'Weekend Warrior' that you choose and design to be. By following the advice prescribed, you may live a richer life. Why live to a 99 years, if you live it in pain and are unable to perform normal activities? May you run away with some of the wisdom in this book! Enrico's multi-sport endurance journey began in 2003. Since then, he completed Boston Marathon (in 2014 & 2016), finished 20 Ironman triathlons (including the prestigious Ironman World Championships 2013 in Kailua-Kona, Hawaii), two half-Ironman world championships, earned four Boston Qualifying times, and completed dozens of marathons and triathlons. He improved on his second Boston Marathon by 16 minutes, and expects to earn a third slot in the 2018 edition of this prestigious marathon. A leadership consultant by profession, Enrico has worked in 20 countries in the last 22 years. His background is in journalism, fitness & recreation management, and corporate training & education. Although marathons and triathlons are his passions and lifestyle, Enrico has only coached runners and triathletes selectively. He shares his training and coaching wisdom with athletes directly (during or after a training session), and through his active regular online posts on his blogs and social media. A lifelong Student, he, too, is also coached in running and triathlons, and is a sponsored athlete and brand advocate. A published playwright, this is his second eBook.